Removing nail polish from carpet can be very difficult, especially after it has dried. Here are some steps you can take to remove nail polish from carpet. 1. ACT QUICKLY! The longer the spill sits, the harder it will be to get out. You don’t want it to soak deep into the carpet and start to dry up so grab an absorbent cloth or paper towel to blot with. 2. 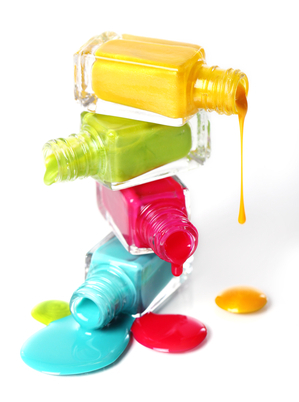 Gently BLOT the excess nail polish with a paper towel, being careful not to push the spill further into the carpet. For best results start from the outside and work your way in, soaking up as much as possible without spreading the spill. Do not rub! Rubbing will only spread the problem. 3. Once you have soaked up the bulk of the spill, apply a non-oily nail polish remover (or rubbing alcohol) to a white absorbent towel and gently blot the area until there is no more nail polish coming off onto the towel. 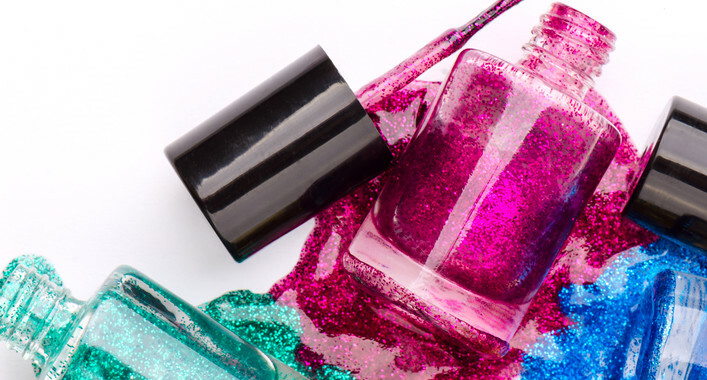 Be VERY careful not to overuse the nail polish remover, if you use too much it can damage the latex backing of the carpet. 4. For the next step you want to mix up a cleaning solution. To make your cleaning solution mix 1/4 teaspoon powdered laundry detergent (non-bleach), with 1 quart of water. Alternatively you could also use 1/4 teaspoon of liquid dish-washing detergent. Pour some of the solution onto the towel and blot the area until you can no longer see the stain. Keep moving to a clean part of the towel to avoid spreading the stain. Then blot with a dry absorbent towel to soak up any remaining moisture. Getting nail polish our of carpet can be difficult. If you have gone through the steps and are still having trouble, call SteamPro Carpet Cleaning in Lake Ozark MO at 573-348-1995 and we would be glad to set up an appointment.